In 1888 Jack the Ripper had terrified the East End of London. His story haunted people for years later and letters signed by the Ripper were still being received by the Whitechapel Vigilance Committee in October 1889. People across London were fearful. On 15 December 1884 Charles Burcham Farnell a 36 year old commercial traveller, married 24 year old Edith Turnor at St Peter’s church in West Hackney. They lived at Church Road Hackney where their first daughter Mary Eleanor was born in 1886. Frederick Percy ran a tobacconist’s shop at 143 Kilburn High Road, between Glengall Road and Priory Park Road, and let out rooms above the business. In December 1888 Charles rented the third floor and the Farnell family moved in. A second daughter Beatrice Isabel was born the following year. ‘Don’t cut the cord. For God’s sake, please let them die and then they will be happy’. She repeated this over and over again and wept bitterly. The policeman applied artificial respiration to the two babies. 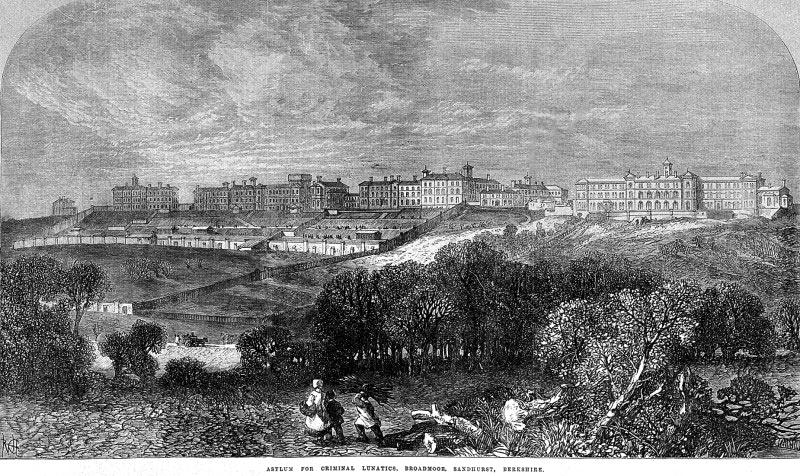 Ten minutes later Dr James Smith arrived from nearby Gascony Avenue. Using artificial respiration and stimulants, they managed to revive the children who were taken to hospital. In court a letter which Edith had written that afternoon was read out. She said that for the last seven or eight months she was not herself and she believed that people were going to kill her. Then she feared that she was becoming consumptive, and was frightened of what would happen to her children after she had gone. Her husband Charles was away for some time because of his job as a commercial traveller, and Edith thought she was going to die. She ended by saying she’d seen a ghost a few nights ago, she was out of her mind and that her mother had died insane. At the Old Bailey Edith was judged to be guilty but insane, and sent to Broadmoor to be held at Her Majesty’s Pleasure. Thankfully, Mary and Beatrice recovered completely and went to live with their grandfather, Joseph Kirby Farnell in Acton. Before going bankrupt in 1851, Joseph had traded as a linen draper and silk mercer in London and Shrewsbury, where Charles Farnell was born. After his agency for hiring servants was declared bankrupt in 1863, Joseph set up as a fancy goods and toy manufacturer. Charles worked as commercial traveller for the family business. After Joseph’s death in 1891, Mary and Eleanor moved in with their uncle and aunt, Henry Kirby Farnell and his sister Agnes. 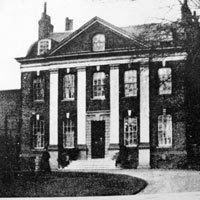 Henry and Agnes took over the family toy making business and bought a large 18th century mansion in Acton called ‘The Elms’. They built a factory in the grounds to produce soft toys, including Teddy Bears, under the trade name ‘Alpha’. Their first teddy bear was made in 1908 and the early Farnell bears closely resembled those produced by the German firm of Steiff. 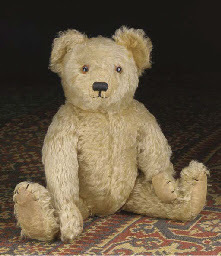 In 1926 the ‘Alpha’ bears became very popular and one was bought from Harrods for Christopher Robin Milne and of course this became ‘Winnie the Pooh’. 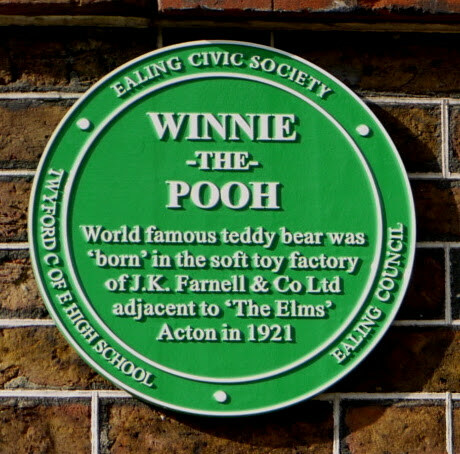 There is a local connection as his father A.A. Milne, grew up in Kilburn. See our book, ‘The Greville Estate’, Camden History Society. The Farnell company continued to produce teddy bears, including Rupert Bear, until 1968. A plaque was unveiled in March 2012. Today The Elms is Twford Secondary School. Mary Farnell never married and died at The Elms in 1923, aged 36. She left £7,778 in her will (worth today about £350,000). Beatrice Farnell married Lt. Allatt Hollins in 1920 and they had five children. She died in Sevenoaks in 1965 and left £9,598 (today worth about £150,000). Their father Charles Farnell, left Kilburn and continued working in the family business, as he’s shown as a toy maker in 1891, living in Stoke Newington. By 1911 he had retired and moved to Hunstanton in Norfolk. Charles died in 1918 in Docking, which is near Hunstanton, and didn’t leave a will. This is a very sad story. Today, Edith would probably have been diagnosed as suffering from postpartum psychosis (PP), an extreme form of postnatal depression. PP affects about 1 in 1000 mothers and may occur soon after the birth of the child or up to several years later. The symptoms which Edith described are typical of PP: the inability to sleep, non-stop talking, delusions, hallucinations and mania. These days, with medication the vast majority of women recover fully. Sadly Edith Farnell was never released from Broadmoor. She died there in 1933, aged 74, after spending 44 years at the Asylum. In October 1896, a tragic event that also involved post-natal depression happened in West Hampstead. William Goddard Hughes was renting three rooms on West End Lane, at Number 1 The Green. William was a 32 year old farmer’s son turned butcher from Wiltshire. In December 1895, he married Elizabeth Emily Wise, the daughter of an accountant, then living in Bristol. The couple moved to London where their son William Joseph was born in Hampstead the following February. On the morning of October 7 William found Elizabeth and his eight month old son lying dead, with their throats cut. At the inquest he told the Coroner that he’d known Elizabeth for about two and a half years, and she was a strong, active woman. But it slowly emerged that looking after the baby was taxing her ability to cope. William said he didn’t think Elizabeth had delusions but admitted she appeared depressed at times. They’d had many disturbed nights recently because the baby was teething. That morning William had got up as usual and made breakfast. Elizabeth had come into the kitchen to light the fire but when William asked if he should carry the heavy cradle downstairs before he went to work, his wife said no, she could manage. He promised to look in during the morning, to see if the baby needed more medicine. He returned at 8.30am and was surprised to find the kitchen empty so went upstairs to the bedroom, where he discovered the bodies lying on the bed. At the inquest Elizabeth’s father George Wise said his daughter had frequently suffered from depression and that his eldest son was currently in an asylum. The coroner’s jury returned a verdict of murder and suicide while of unsound mind, and passed on their condolences to William and Elizabeth’s family. Elizabeth and William were buried at Hampstead Cemetery on Monday, 11 October. Mother and son were in one coffin, the child lying in his mother’s arms. It was raining hard, but many neighbours came to watch the hearse depart from West End Green and even more gathered at the Cemetery. William stayed on at West Hampstead for a few years, moving into a new house in Sumatra Road which he shared with his widowed mother. But he’d returned to his roots in Wiltshire by 1909 when he married school teacher Mary Wilkins. The 1911 census shows the couple in Cricklade, with a young family and William working as a farmer. Numbers 1-3 The Green were redeveloped as a garage, and then converted to provide premises for today’s Pizza Express, opposite West End Green. Did Jack the Ripper live in West Hampstead? ‘ello ‘ello What’s going on here? What have I missed since June 24th?